Spots are filling up fast. Sign up soon. 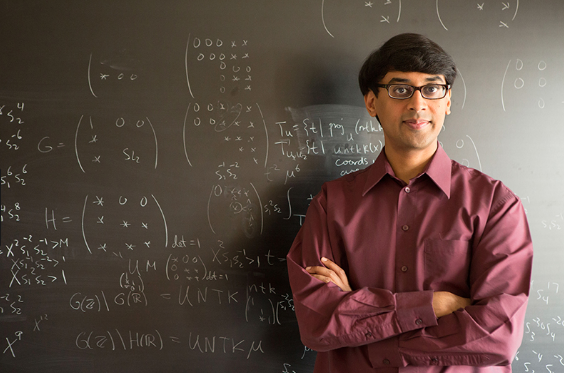 MoMath is pleased to announce the inaugural public presentation from its 2018-19 Distinguished Visiting Professor for the Public Dissemination of Mathematics, Fields Medalist Manjul Bhargava. Don't miss this chance to hear from one of the brightest minds in mathematics. His story, from growing up on suburban Long Island, to attending some of the top academic institutions in the world, to winning the most coveted award in all of mathematics, will delight and entertain you while also conveying the amazing beauty of mathematics in the world around us.